The intrinsic abilities of a diagnostic medical sonographers and what their work environment looks like. How talented do I have to be to become a diagnostic medical sonographer? A career as a diagnostic medical sonographer typically depends predominantly on qualities you can gain through experience, with a small aspect of skills you are born with. Is it easy to get a job as a diagnostic medical sonographer? It’s typically difficult to find a job as a diagnostic medical sonographer. If you’re curious about the numbers, check out the job market for diagnostic medical sonographers. What level of cognitive ability do diagnostic medical sonographers use? Working as a diagnostic medical sonographer typically requires the use of more advanced cognition when compared with the average career. 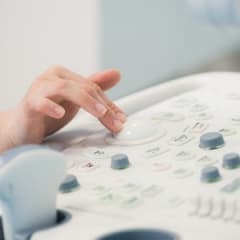 This means that diagnostic medical sonographers are required to actively learn new things related to their discipline and solve complex problems. Do diagnostic medical sonographers work full-time or part-time? 77% of diagnostic medical sonographers work in full-time roles while 23% work part-time.